Promotional gift items & recognition awards with a "global theme", ideal for the executive desk, as corporate gifts or for any gift giving occasion. 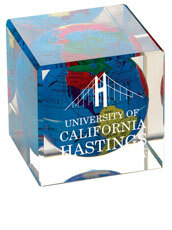 The world's best selection of global gifts and gift ideas! 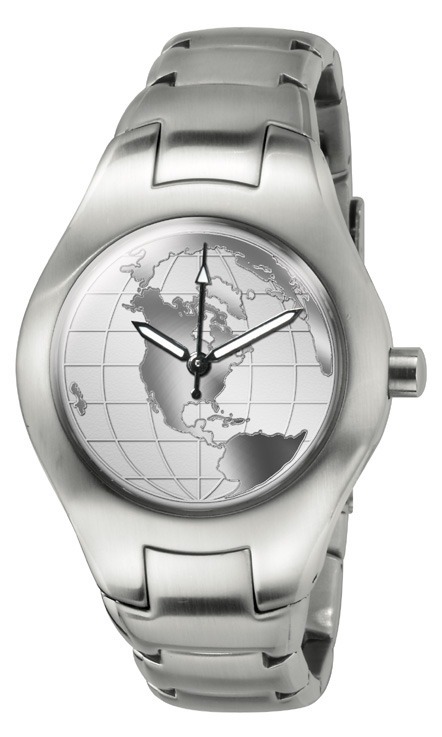 A corporate gift that will always remind the wearer of the presenter's "global position". Handsome, silver-tone, stainless steel case with matching stainless steel adjustable bracelet. Stainless steel back. Japanese quartz movement with sweep second hand. Manufacturer's 5 Year Limited Warranty and Lifetime Battery Replacement. 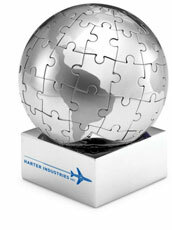 Presented in custom gray leatherette box, shipped in a protective black cardboard insert. Watch is presented wrapped around a soft leatherette pillow. Can be shipped with or without the Selco Geneve Crest (on insert top and inside box lid). Ladies model is also available at same price. Lead Time: 2-3 weeks from artwork approval. Die Setup Fee: $250 per model. Run Charge: $8.50 per piece. Setup Fee: $60 per color. Run Charge: $1.60 per piece, per position, per color. First run free. Setup Fee: $85 per position. Run Charge: $6.25 per piece, per position. $3.75 per item - 15 characters or less. Elegant gift wrapping service available for $6.00.